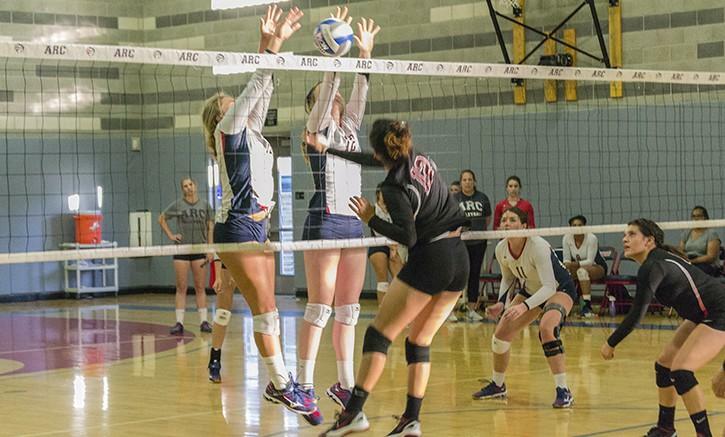 American River College’s volleyball team dominated Porterville college in a three game match Friday afternoon, winning by a final of 25-9, 25-8, 25-13. By the start of the third set ARC switched to the opposing side of the court when the sun started to rear its way on to the court. Porterville started off the game fiercely with a three point lead against ARC, but it wasn’t enough to cancel out ARC’s precise teamwork. 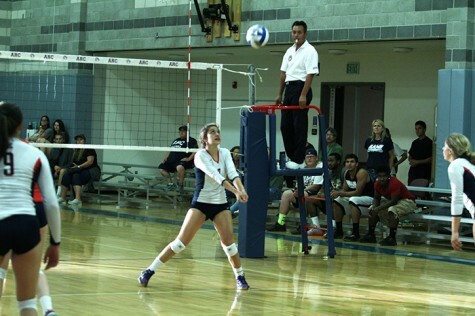 “At practices we focused mainly on defense, hitting the line hard, hitting tough serves and being aggressive,” said ARC sophomore center Monica Udahl. Near the end of the first game, ARC began to assert their control over Porterville with spikes and serves. ARC head coach Gabe Gardner discussed how the ability of stringing plays together and mindset in game are the keys to success on any level. Gardner mentioned that only four girls returned from last year’s volleyball team. Among the freshman class, Katie Herrington and Candice Reynozo were significant contributors in Friday’s double header. Prior to the switch the sun began shining through the window, which made it harder for ARC to see the ball. Porterville struggled with communication and was unable to read ARC’s point of attack during the match. Consistent play like this will enable a win in its next double header on Sept. 26 against both Butte and Feather River. 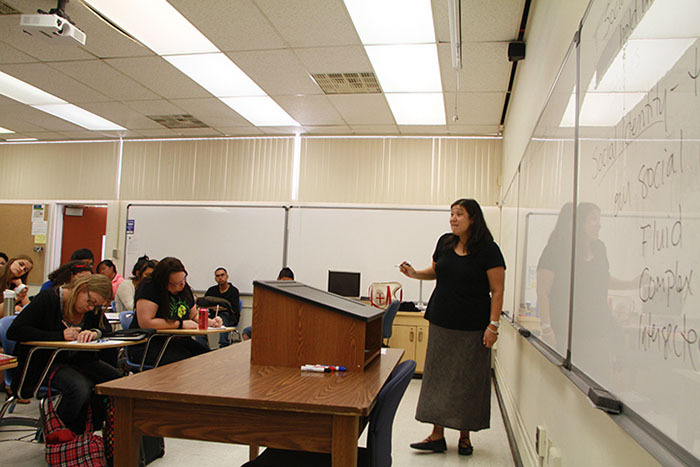 Be the first to comment on "ARC volleyball routes Porterville"